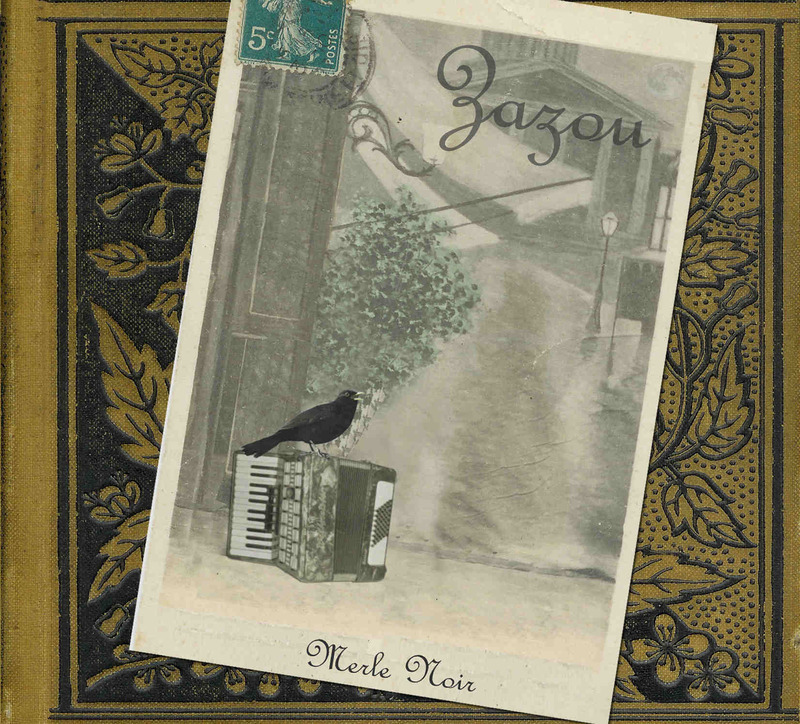 Zazou's latest CD is hot off the presses as of November, 2007! "Merle Noir" brings you a wonderful array of musical explorations; tangos, swing, ballads, Musette and even a Hawaiian number! Zazou's joyful musicality and sense of humor comes to full fruition in their latest CD, along with extensive creative arrangements and full use of vocal harmonies - this album surpasses their past work in its depth and variety. In addition to the usual Zazou sextet, Merle Noir also features a number of special guest artists - each lending their unique talent to Zazou's fundamental sound. As usual, Zazou offers a selection of well-loved standards such as "In the Still of the Night" and "How High the Moon" as well as lovely original tunes penned by Hugh Sutton, Ryan Hoffman and Ms. Jessica. Click to hear some samples!